We have an amazing staff at our San Jose Dental Practice with years of experience in caring for people just like you. 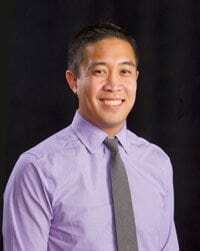 Dr. Brian Kong graduated from the University of the Pacific School of Dentistry in San Francisco and received his undergraduate degree from UCLA where he studied Economics and Psychology. Although he enjoyed living the city life in Los Angeles and San Francisco, he returned to his hometown of San Jose, and is loving his short traffic-free commute to work. He’s a member of the Santa Clara Dental Society, Golden State Spear Study Club, and the Silicon Valley International Team for Implantology Study Club..
Dr. Brian looks forward to going to work each day and relishes spending time and getting to know his patients. He believes in providing the best, least invasive treatment possible, while using the latest materials ,techniques, and technology. His goal is to help his patients achieve beautiful, healthy smiles in a relaxing and comfortable atmosphere. In order to stay at the top of his field, Dr. Brian takes numerous postgraduate dental education courses each year, studying with some of the best dentists in the world. He’s been across the globe learning about dentistry, including Germany, Boston, and Scottsdale. He also traveled to Ecuador on a dental mission to treat local residents without normal access to dental care. In his free time, Dr. Brian loves to snowboard, play basketball, golf, fish, wander around Home Depot, or play with his yellow lab, Bear. He’s hooked on online shopping, Costco samples, and Togo’s sandwiches. It’s difficult to pry him away from the TV when any UCLA, Warriors, Niners, or Giants game is on and he thinks the television DVR is one of man’s greatest inventions in case any of those teams are playing at the same time. He also actually admits he should floss better. Dr. Doug Kong has been providing dental care from the same location for individuals and families since 1975. He has enjoyed treating generations of families over the years. 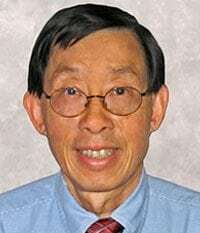 A native of San Jose, he attended the University of California at Davis and received his Doctor of Dental Surgery from the University of the Pacific School of Dentistry. He continuously supports his education with many classes in restorative, cosmetic, and implant dentistry. He’s married and has two grown children. In his spare time, as a member of the baby boom generation that refuses to let age slow him down, he enjoys home improvement projects, fishing, tennis, cycling, jogging (no triathlons – can’t swim), and work-outs at the gym. He looks forward to many more years of practicing dentistry. Dr. Madana Harvey grew up in San Francisco and moved to Los Angeles to complete her undergraduate degree in Psychobiology at the University of California, Los Angeles (UCLA). She went on to pursue her doctorate at the UCLA School of Dentistry. In dental school, Dr. Harvey discovered her passion for working in community health. She enjoyed her time providing dental screenings at various healthfairs and participated in an externship with the Indian Health Services where she provided dental services to the local Native American population in Maine. Upon graduation from dental school, Dr. Harvey continued her post-graduate training at the UCLA Venice Dental Center where she received her certificate for Advanced Education in General Dentistry. Dr. Harvey later moved to New Mexico to work at a community health clinic in association with the National Health Service Corp. After four years in the desert, Dr. Harvey has since relocated back to the bay area to be closer to her friends and family. Dr. Harvey’s philosophy is based on a commitment to providing patients with high quality, state-of-the-art dental care with excellence and integrity. 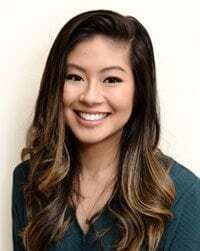 She is a member of the American Dental Association, California Dental Association, Academy of General Dentistry, San Mateo Dental Society, and Spear Study Club. During her spare time, Dr. Harvey enjoys catching up on movies, listening to live music, learning to play the ukulele, cooking, eating more than cooking, and playing with her english bulldog, Teddy. Dr. Ariel Canda received her Bachelors degree in Biology at the University of Nevada-Las Vegas and continued to the University of the Pacific School of Dentistry for her doctorate. She moved to Orange County after graduating from dental school to give the warmer weather and the change of environment a try. After practicing there, she realized how much she loved the Bay Area and decided to move back to establish her career and her life. Dr. Canda understands the importance of spending the extra time with patients to make sure they are well-educated about their treatment and the overall health of their teeth and gums. She always wants to make sure that her patients walk out of each appointment with all their questions answered. She also loves getting to know each of her patients and making their dental visit as enjoyable and as comfortable as possible. She grew up as an Air Force brat but calls Las Vegas, Nevada her hometown. She visits her family in Vegas whenever she gets the chance. If she’s not home working on an arts and crafts project or binge watching her TV shows (or doing both at the same time), you will probably find her at Michaels, at an ice cream shop, in a kickboxing class, or at Disneyland! 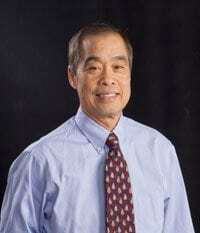 Dr. Lee graduated from the University of California, Berkeley, and received his Doctor of Dental Surgery from the University of California, San Francisco School of Dentistry. 1. All dental treatment will eventually require retreatment. 2. The way to prevent retreatment is not to initiate treatment. 3. The way to avoid initial treatment is to practice prevention. Almost all common dental diseases can be prevented.